April 9th in Wordpress Plugins by Wordpress Jedi . 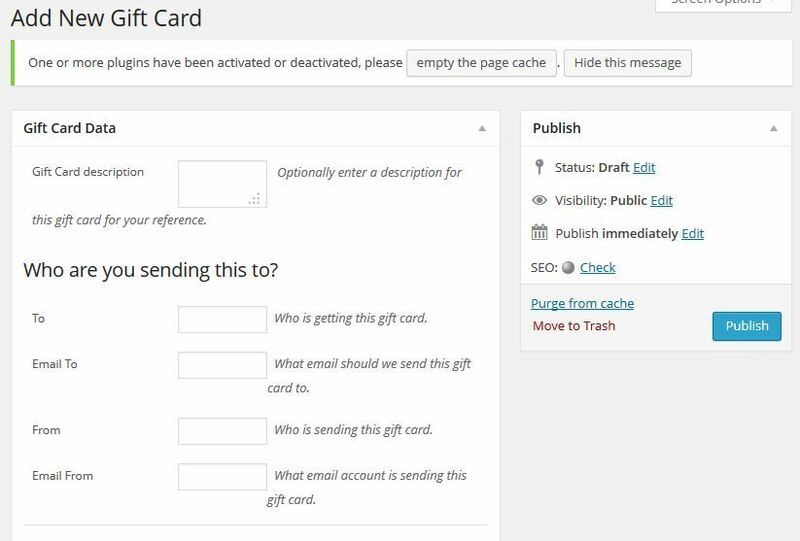 Gift Cards for WooCommerce: a plugin that allows you to manage and sell gift cards on your website. Lets you accept payments through payment gateways supported on your site. Woocommerce Gift Card: allows you to sell redeemable gift cards on your WooCommerce site. Coupon codes are generated automatically and can be applied at checkout. You can set an expiration date for your gift cards. You have the option to exclude certain products. Smart Coupons: allows your customers to buy credits for themselves or gift them to others. You can link coupons with a product. They can be passed in a link. Want to create coupons in bulk? No problem. WooCommerce Gift Certificates Pro: lets you sell gift certificates as stand alone products. Your shoppers can choose the amount for their gift certificate. You can include QR codes in your gift certificates. Have you found better gift certificate plugins for WooCommerce? Please share them here.